A significant problem in the automatic design of 3D §graphics is the configuration of the lighting for a §scene. The number of lights included, and the §properties of these lights, has an enormous impact on §what a viewer can judge about the content, properties §and other aesthetic qualities of a scene. 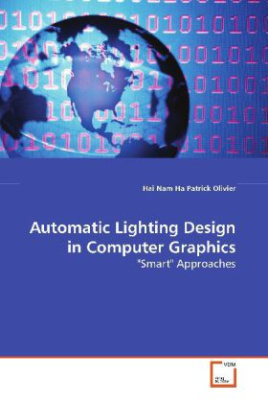 Non-expert §users encounter a number of difficulties in selecting §the appropriate lighting parameters, as the process §requires both a subtle technical and aesthetic §understanding of lighting in computer graphics. §In this book, an intuitive approach to lighting §design, lighting-by-example, is proposed and §extensively explored in forms that exploit both the §perception-based lighting framework and a new wavelet §formulation. User studies are conducted both to §configure the perception-based lighting objective §function and to evaluate the performance of the §proposed lighting design approaches. Finally, an §approach to designing interactive interface for the §lighting design process that incorporates both the §ideal lighting and lighting-by-example approaches is §presented.